Here's an interesting sampling idea to get consumers trying your new laundry detergent--put it on the clothes they buy. Unilever's Omo (also known as Persil) has created a special tag for new clothing that's 100% water-soluble and can be removed and added to your laundry, where it's good for three washes. The brand's Middle East agency, TBWA/RAAD, came up with the idea and is trialling it first in Lebanon in a tie-up with Sports 4ever, Beirut's largest chain of sporting merchandise stores, attaching it to every new sportswear item. It's expected to roll out to the wider Levant region later on. It's part of the brand's global "Dirt is Good" campaign, explains Samer Anouti, Home Care Marketing Manager at OMO, who describes it as a " first-of-its-kind innovation in the detergents category that is fun, convenient, easy-to-use and most important--efficient in fighting dirty stains. 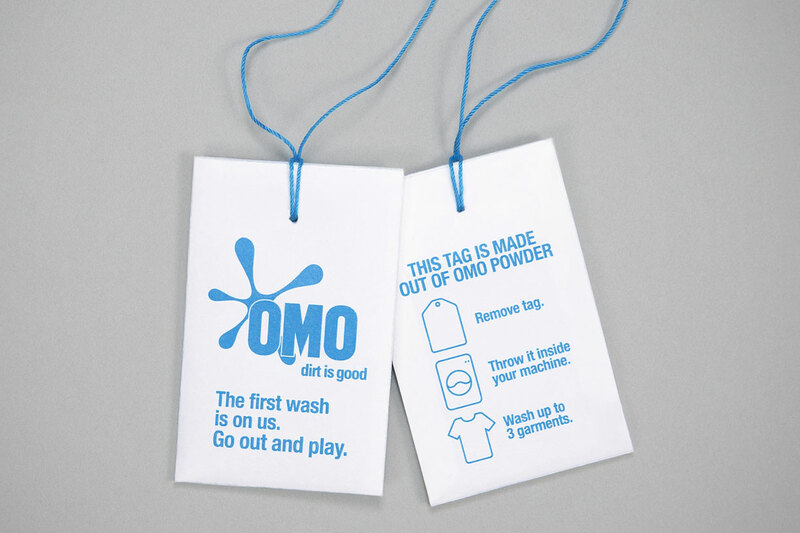 The Omo Tag reinforces Omo's “Dirt is Good” brand purpose, encouraging families to embrace real-life experiences."